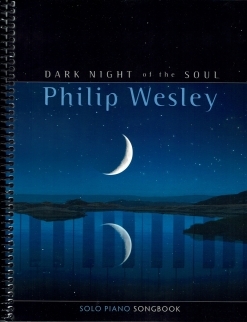 Dark Night of the Soul is the companion sheet music book to Philip Wesley’s best-selling 2008 CD by the same name. The recording was named as one of the “50 Greatest New Age Albums of All Time” by Reviews New Age in Spain, reached #1 on Amazon and iTunes in the New Age category, and made it to #12 on the Billboard charts. The music is an allegory for a journey through darkness and coming into the light and a new day. Obviously very emotional in nature, the sheet music book is a lot of fun to play, a great vehicle for letting off steam, and is an excellent teaching tool for getting piano students to play with expression. Some of the pieces are quite long (see below), but none of them are very difficult. Most of the timing is straight-forward and none of the key signatures are complex. Pianists at an upper-intermediate and early-advanced playing level should be able to master these pieces without much difficulty. 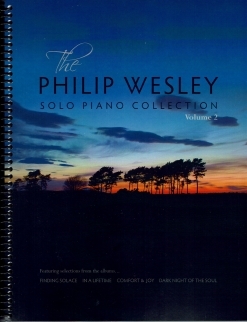 More advanced pianists should be able to just sit down and play most of these pieces, making for a very enjoyable hour or so of playing pleasure. Quite a few of the pieces indicate a strong influence from pianist/composer David Lanz, so if you enjoy playing Lanz’s songbooks, you’ll most likely enjoy this one a lot, too. The front and back covers are full color reproductions of the CD cover artwork. The notation is clear, clean and easy to read and the music is printed on a medium-weight paper stock that should last through many years of play. The book is spiral-bound - always a big plus for staying open on the piano and making the book more durable. Pedaling suggestions, metronome settings, expression and dynamics are all included. There is also a short biography, discography, and photo of Philip on the last page. 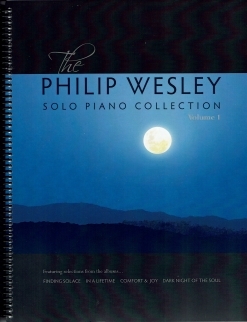 All twelve piano solos from the recording are included. 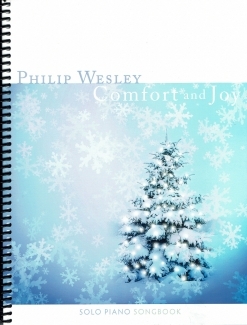 Philip Wesley’s sheet music books and individual song downloads are currently available exclusively from www.PhilipWesley.com. I thoroughly enjoyed playing through this book and highly recommend it.